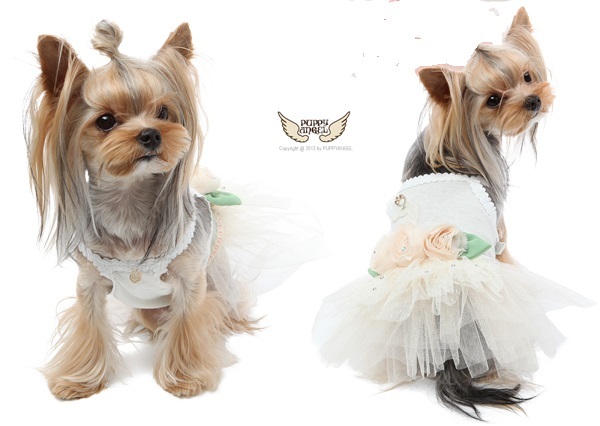 Made with amazing attention to detail these Swan Tutu Dresses from Puppy Angel are a must have! The cool cotton bodice has a beautiful swan applique complete with tiara which joins to it's own crystal adorned mesh skirt on the waist. 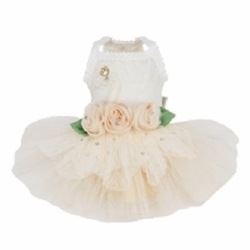 The tutu is made up of layers of chiffon mesh and there are silk roses attached to the waistline.